The Dubai Electricity and Water Authority, DEWA, will offset the carbon emissions resulting from its Earth Hour 2019 activities, with Certified Emission Reductions, CER, credits from its projects, for the 4th year in a row. 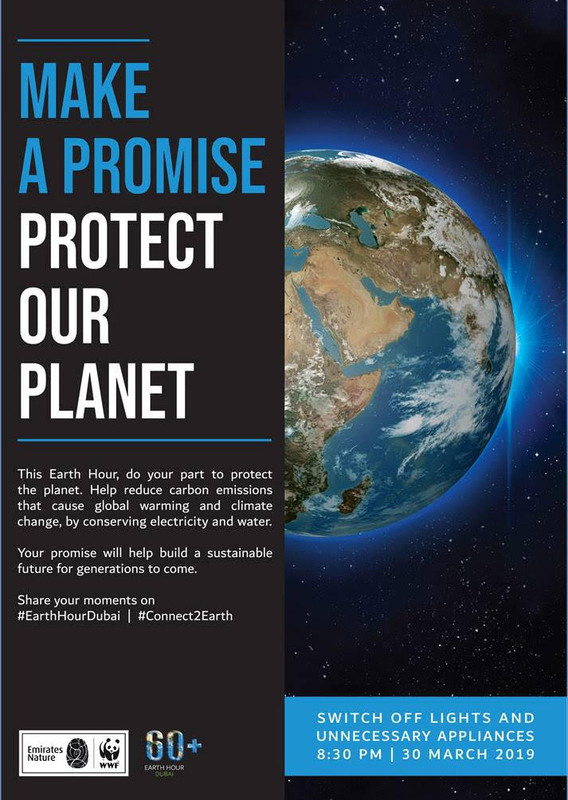 DEWA’s Earth Hour activities take place on 30th March. This will be based on the Kyoto Protocol of the United Nations Framework Convention on Climate Change, UNFCCC, supporting DEWA’s strategy to protect the environment and its vision to become a globally leading sustainable innovative corporation. "DEWA is committed to the best green standards in all its projects and operations. Our activities implement the highest standards in environmental conservation and carbon reduction in line with our efforts to achieve the Dubai Clean Energy Strategy 2050 to make Dubai the city with the lowest carbon footprint in the world. This year, we will continue to offset the emissions resulting from organising Earth Hour activities. This builds on our success in the past three years in organising zero-carbon Earth Hour activities by offsetting emissions with CER credits from DEWA’s projects, based on the Kyoto Protocol of UNFCCC," said Saeed Mohammed Al Tayer, MD and CEO of DEWA. DEWA has urged the public to join millions of people in thousands of cities around the world in showing their support for Planet Earth during Earth Hour by turning off nonessential lights and electric appliances between 20:30 and 21:30 on Saturday, 30th March, 2019. DEWA has also invited the public to participate in the activities it will organise at Marasi Promenade Business Bay, Dubai. DEWA is organising Earth Hour 2019 event under the umbrella of the Dubai Supreme Council of Energy, in partnership with the Emirates Wildlife Society in association with the World Wide Fund for Nature, and with the support of Dubai Holding. DEWA has been organising Earth Hour annually since 2008 to raise awareness of the importance of rationalising electricity use, promoting sensible usage habits, and highlighting practices that benefit the environment. Observing Earth Hour also supports national efforts to reduce carbon dioxide emissions and environmental pollution as well as develop sustainable solutions to global warming, climate change, and environmental protection, while preserving natural resources to ensure their sustainability. Dubai achieved remarkable results during Earth Hour 2018. DEWA recorded 323MW reduction in electricity use, equivalent to a reduction of 140 tonnes of carbon emissions.